FEBRUARY 18, 2019 – Calidus LLC today unveils details of its new Wahash infantry fighting vehicle (IFV) and reports further progress in development of its B-250 light attack aircraft. As a fast-growing defense-technology pioneer based in Abu Dhabi, Calidus is working to strengthen the capabilities of the UAE defense industry. “Our products fill an important need among many military forces for solutions that are both cutting-edge and cost-effective. This is our message and IDEX 2019 provides an ideal platform from which to share it,” said Abdulla Alsayed Alhashmi, Calidus senior vice-president. “The Calidus team has made tremendous strides in the four years since our foundation. These milestones are a tribute to their hard work,” he added. The B-250 is now undergoing flight testing in the skies above Al Ain. 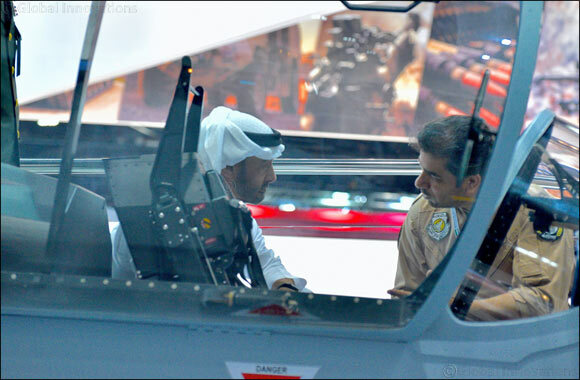 It will be the first light attack aircraft manufactured in the UAE. The Calidus in-house team of engineers and designers in Abu Dhabi is further developing the capabilities of the B-250. The plane has multi-role capabilities for modern and asymmetrical warfare including close air support, counter-insurgency (COIN) and intelligence, surveillance and reconnaissance (ISR) environments. It can also serve as a basic and advanced trainer. The B-250 has received significant interest from regional and international buyers. Calidus has built a global network of suppliers as part of the B-250 effort, including Collins Aerospace of the US, Martin-Baker of the UK, Pratt & Whitney Canada, and Halcon Systems of Abu Dhabi. As Calidus broadens the scope of its offerings, the new Wahash infantry fighting vehicle provides a land-based product to add to its arsenal. Visitors to the Calidus booth at IDEX can get a first-hand look at the B-250 and the Wahash. The Calidus booth at IDEX is at stand 04-C15 between entrances C and D.
The Wahash is a cost-effective 8x8 platform developed for multiple roles including infantry fighting vehicle (IFV) and armoured personnel carrier (APC). With land and amphibious capability, it can operate under extreme conditions. Supported by episcopes and situation-awareness cameras, the Wahash also includes IED and landmine protection and a modular protection system with variable ballistic protection. The Wahash is designed to host large-calibre weapon systems including the BMP-3 and numerous remote-controlled weapon stations. The vehicle can transport a driver, commander, gunner and 8 dismounts.